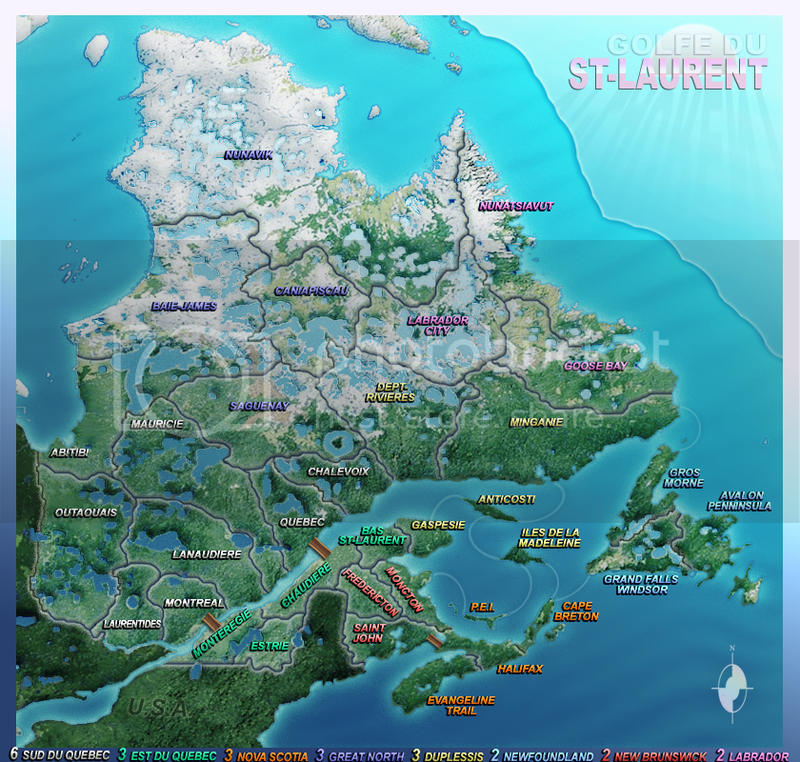 Conquer Club • View topic - Golfe du St-Laurent: Tisha Wins! Alright folks, here are the run off contestants. You've got one week. 1) The bonuses values, regions, names and territory connections remain unchanged. 2) The map depicts the gulf of the St. Lawrence. Contestants must submit Final Forge quality images, jpg or png, for both the small and large size map. Please host your image on imageshack, photobucket or something comparable. If I cannot view the image by the deadline, the entry will be disqualified. The standard size limits on the maps apply to the entries, but otherwise exact dimensions are up to the mapmaker. By submitting, contestant agrees to make any requested graphics changes during the map's stay in the Final Forge. Standard Conquer Club copyright principles apply: The author retains copyright on their work, and gives Conquer Club permission to use the imagery free of charge, for as long as Conquer Club sees fit on the Conquer Club website. Conquer Club cannot sell, lease, or lend the right to use the images to anyone else. The author swears that their map is their own work, or a legal derivative work and by submitting it, do hereby claim all responsibility for that being true. Prizes The winner will receive one year of premium membership, as well as an achievement medal and a mapmaking medal. The final runners-up will receive achievement medals for competing. Last edited by Industrial Helix on Sun Mar 06, 2011 1:36 pm, edited 12 times in total. Sometimes it doesn't show....it could happen with hosting sites. I've added a second small link under the map into the first post just in case it doesn't show again. Thanks. The pic is still not showing up, but the link works. Victor Sullivan wrote: Thanks. The pic is still not showing up, but the link works. same here... I might give it a shot, sounds fun. This was a nice looking map that I was looking forward to playing until it died in the water. Good luck to all who try getting this up and going again. Woohoo! I thought I would never get to play CC on a map of my own backyard after the first attempt was a bust, but looks like there is hope yet! Sadly I am not a graphic artist and can't make a submission, but good luck to everyone who submits. 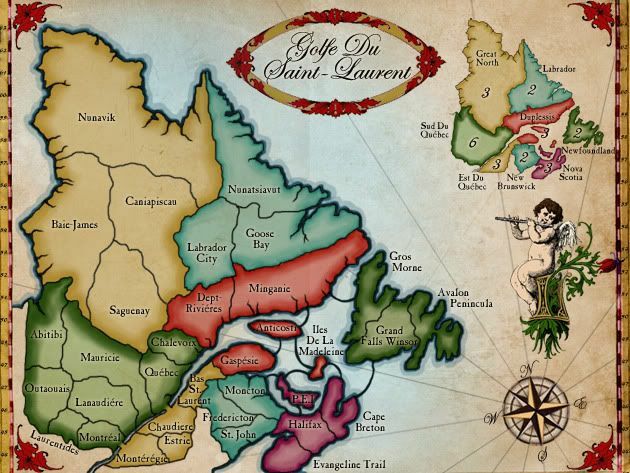 I would like to point out to any potenial cartographers out there that the blob representing Cape Breton is quite misshapen, both on the rough mock-up above and the Golfe map that was sent to the recycle bin so many months ago. Hopefully the new map makers can address this in their entries. keiths31 wrote: This was a nice looking map that I was looking forward to playing until it died in the water. Good luck to all who try getting this up and going again. My thoughts too. It looks like a map that I'd put into my rotation. I would like to point out to any potenial cartographers out there that the blob representing Cape Breton is quite misshapen, both on the rough mock-up above and the Golfe map that was sent to the recycle bin so many months ago. Good luck to all who submit an entry. I really want to see this map on the site someday lol. Hmmm .... I just might let my fingers do some doodling! Truth be told, I'd play the sample map if you cleaned up the borders and connecting dots. ghirrindin wrote: Truth be told, I'd play the sample map if you cleaned up the borders and connecting dots. Yeah, but its pretty plain. Wait until you see the entries before you make a such a judgment I got a feeling that they're going to be some good ones. Is there an image available without the names of the places listed? Just for the sake of getting the borders right. Heh, I was only poking gentle fun at the map's purgatorial status in the foundry. There is something to be said about a simple, clean, crisp map, but yes, I'm looking forward to the entries. Thx.. That works.. just wanted to make sure I have the borders right. 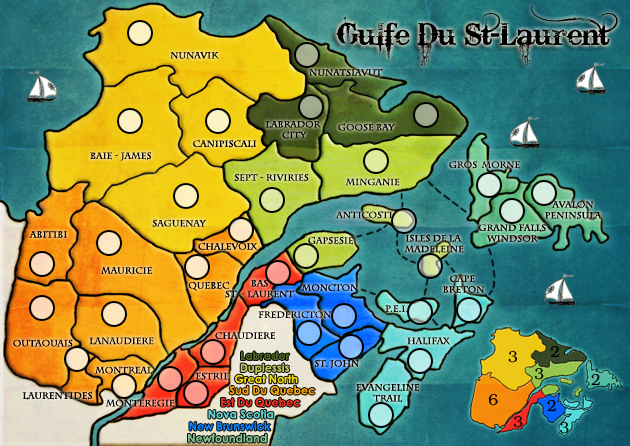 I noticed a couple of spelling mistakes, can I use the correct spelling for those couple of territories? isaiah40 wrote: I noticed a couple of spelling mistakes, can I use the correct spelling for those couple of territories? What spelling mistakes? Keep in mind that the terts used the French spelling.